DUBAI — Saudi Crown Prince Mohammed bin Salman embarked on Thursday on a regional tour starting with the United Arab Emirates, his first official trip abroad since critic Jamal Khashoggi’s murder tipped the kingdom into crisis. Abu Dhabi’s Crown Prince Mohammed bin Zayed welcomed him on his first stop in the UAE, a close ally that is part of a Saudi-led coalition battling Iran-aligned Huthi rebels in Yemen, according to the Emirati state news agency WAM. The prince is also set to travel to the Tunisian capital on Tuesday, a presidential source in Tunis said. The regional tour, just before the crown prince is expected to attend the G20 summit in Argentina next week, comes as international pressure has mounted on Riyadh over the grisly murder of Washington Post columnist Khashoggi in the Saudi consulate in Istanbul on October 2. The Saudi insider-turned-critic was killed and dismembered in what Saudi Arabia said was a "rogue" operation, but CIA analysis leaked to the US media pointed the finger at Prince Mohammed. US President Donald Trump on Tuesday glossed over the CIA’s reported conclusion that the crown prince had authorised the killing, saying Washington would not slacken its support for the kingdom. Turkey’s President Recep Tayyip Erdogan could meet with Prince Mohammed on the sidelines of the G20 summit, according to a Turkish presidential spokesman. Such a meeting would be the first face-to-face encounter between the two since the killing that has tainted the image of both the crown prince and the kingdom. Saudi Arabia has said that 21 people are in custody, with death penalties sought against five men, but attention remains focused on whether the crown prince ordered the murder despite the kingdom’s denials. Calling for a "completely transparent and credible investigation", the EU’s top diplomat Federica Mogherini said: "For us accountability does not mean revenge." 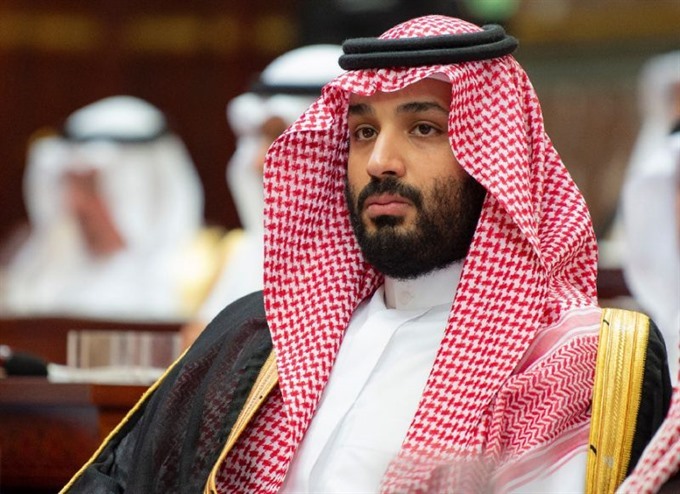 Saudi Foreign Minister Adel al-Jubeir on Wednesday said criticism of Prince Mohammed is a "red line", and that calls for him to be held accountable for the murder would not be tolerated.